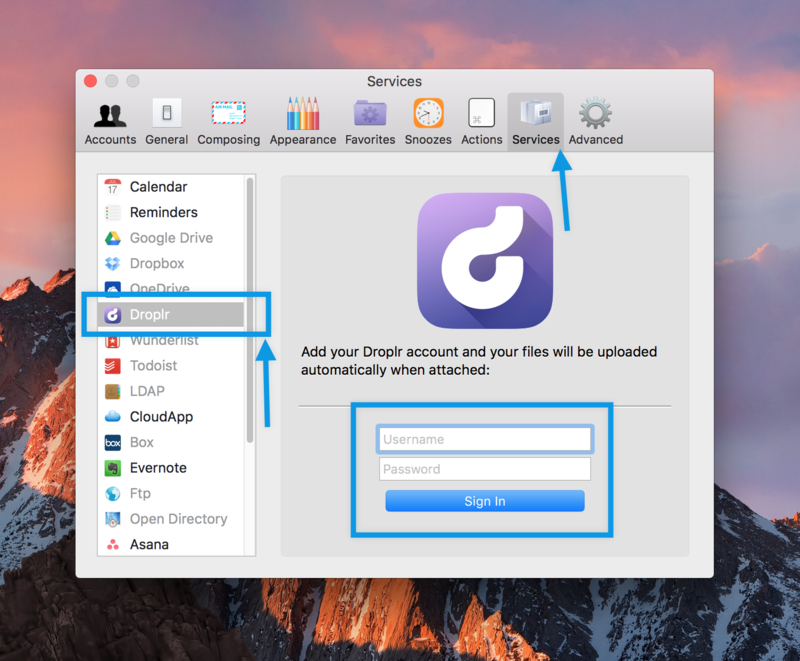 Services and then &apos;Sign in Droplr&apos; as shown in the picture below. 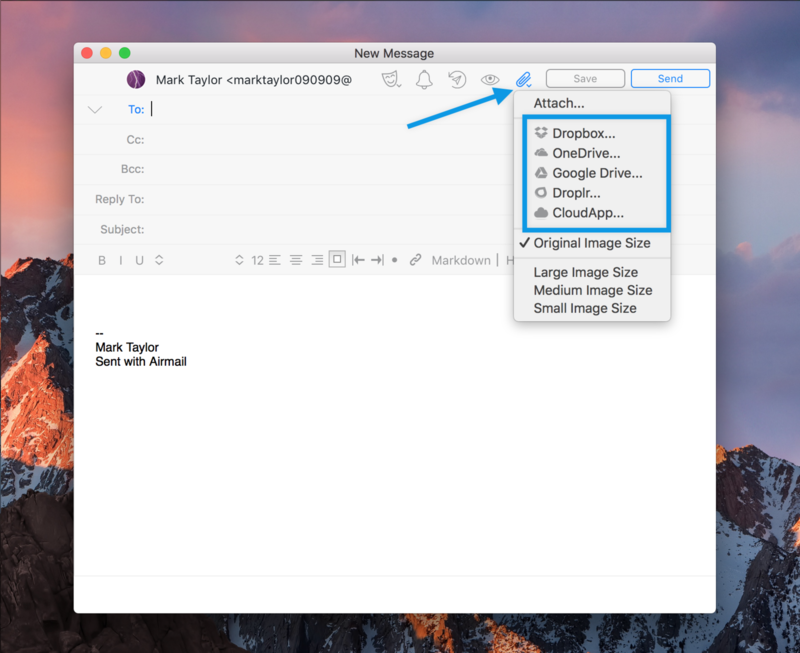 How to save a message to Droplr from Airmail? 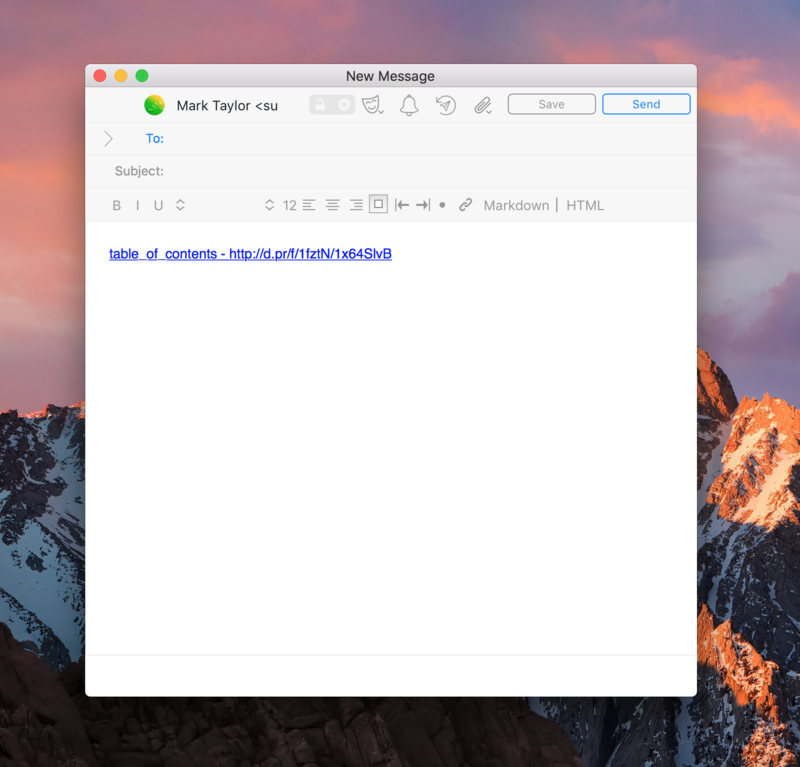 This will allow you to create a &apos;Droplr&apos; link/drop and you can share it as per your requirement. 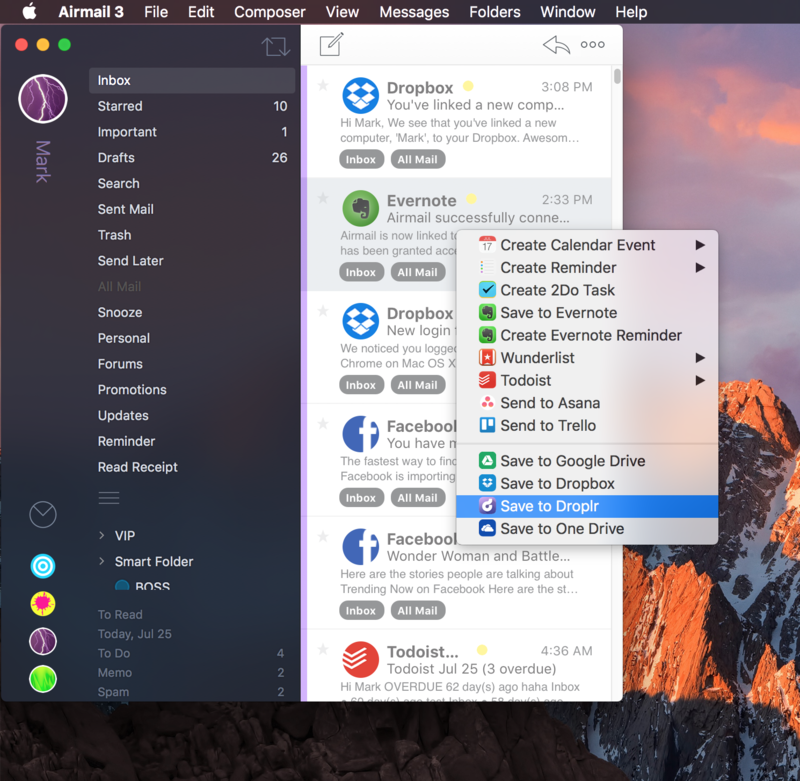 How to attach using Droplr?